Eco Femme’s response to Sinu Joseph’s blog “Why India doesn’t need the sanitary napkin revolution”. Home » Eco Femme’s response to Sinu Joseph’s blog “Why India doesn’t need the sanitary napkin revolution”. 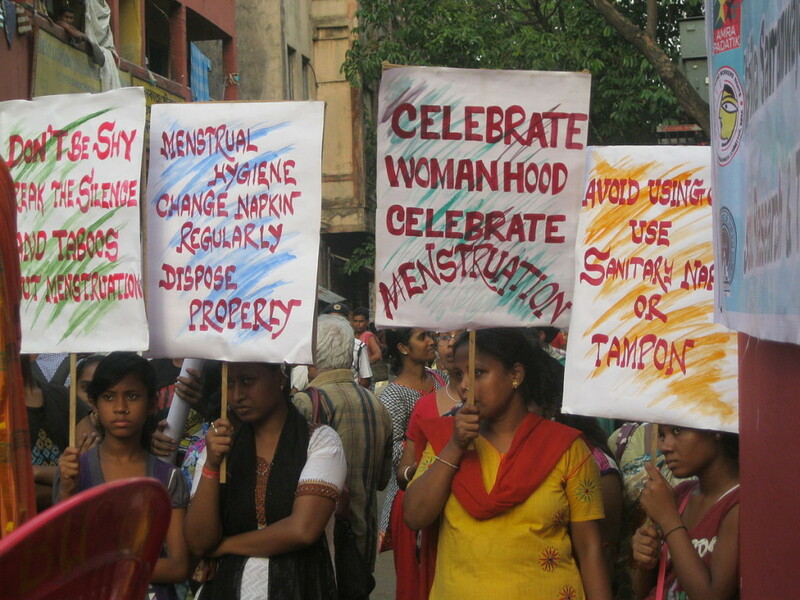 While this article did raise a number of important issues that speak to certain problems in the way menstruation is being addressed in India, it tends to be reductionistic and oversimplistic in its analysis and at times, generalisations are made that are not even true. This response is an attempt to widen the discourse and offers some other perspectives, also rooted in years of extensive field work in menstrual education and research in rural India. We think context is the key word here. 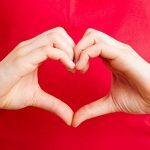 Menstrual Hygiene Management is obviously a really complex space to work in because to enter these waters means to touch on a rich matrix that includes culture, health, environmental and economic considerations – as we like to say, you cannot pull on one string without impacting the whole fabric. There are certainly some truths in what Sinu has mentioned, especially in the tendency to dramatize and judge menstrual practices as being poor or unsanitary because they don’t conform to a sanitized western ideal; this is an important point that people working in this space need to be mindful of. As is the last point she makes about allowing women to decide for themselves. What is concerning in this article, however, are the sweeping generalizations and lack of distinction making as well as the tone of superiority and scathing judgments which make the whole article come across as reactive and do not serve the space which Sinu, us, or others are trying to work in. As a basic orienting principle, we believe that what is most important is to truly listen to those we seek to serve and suspend judgment in order to understand whether a practice is working for a woman and whether or not it has adverse health consequences. This is not a value judgment but rather a process of carefully navigating through a deep listening and insight into the experience a woman is having as a result of the practice she is following. To this we would say, if that’s true and women do choose happily to follow their practices without coercion, then let’s leave them alone. But what to do when this is not the case – when a woman feels negatively affected, physically or psychologically by a practice she inherited but does not feel at home with? We have seen this repeatedly – even among a group of closely connected rural women: their experience of the same practice differs. For example, while some women may welcome a break that ritual exclusion affords, another woman feels degraded by that same practice. We must not fall into the other extreme trap of glorifying all traditional practices without distinction. On the subject of products, a similar debate can follow. We fully agree and believe that cloth is a sustainable and healthy menstrual care solution and wouldn’t dream of advocating for women to replace this option in order to buy a cloth pad. Before starting production and entering the marketplace in rural India with cloth pads, we conducted extensive research partnering with organisations across Tamil Nadu to really try and understand what the basic practices were and if there was any need or interest for a cloth pad – the last thing we were interested in was manufacturing a need as we were quite frankly delighted that the practice of using cloth was still alive in India. What we discovered though, through countless interviews, focus groups and rigorous product testing with over 700 rural women and adolescent girls, is that women and girls frequently reported real limitations with the recycled cloth they use – especially concerns about leaking and the fact that the cloth does not stay securely in place. This is one reason why many (not all) women are motivated to switch to disposable pads: because design has overcome these limitations. The disposable pads do the job better and make their lives actually easier. I therefore think it is extremely naive to suggest that the need for effective menstrual products is purely manufactured. Again this is a very nuanced point; basically there is some truth in the way need is manufactured but that is not the whole story. Women with very little money would not part with it only because an advert or NGO told them to – they see real functional advantages of using a disposable pad and this needs to be looked at squarely and not dismissed as only a case of women being duped by foreign Multi-National Corporations trying to make a profit. Connected to this is another point that we feel cannot be left unaddressed; that is the fact that India IS facing a huge mountain of non biodegradable sanitary waste and while statistically the numbers may seem small for now, this is increasing rapidly. 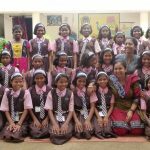 We conduct most of our menstrual health awareness sessions in schools in rural Tamil Nadu. Last week we conducted a session with girls in a government school where 100% of girls use disposable pads. The majority of these use branded products that are essentially made of plastic. There is however no viable way to get rid of these products. We have seen again and again that when given a choice and when presented with accurate information about the chemicals and plastics inside a branded sanitary napkin, girls are intuitively concerned about their health and the environmental impact associated with disposal. And here the argument to personal choice and freedom is also interesting because just where do you draw the line when someone’s personal practice leaves a damaging consequence for others to deal with long after the individual has stopped doing that thing? We think therefore that this is a point that starts to go beyond personal and individual preference and needs a contextual look – can India without proper waste disposal mechanisms keep embracing disposable pads as the only other option alongside old cloth? We don’t think so. When Sinu proposes to “leave it to women to decide what (product) they wish to use.” – our response is, sounds liberal but is choice without full knowledge of consequences really a fair choice? Finally we wonder, why in the world would an organization promote reusable products in one country, citing environmental reasons, and disposable in another? (And which organization for that matter…?) A main claim of this article is that ‘foreign organizations’ promote the need for sanitary napkins in India but promote reusable products in their own countries; this is simply not true! If we’re talking about P&G (Whisper) and Johnson&Johnson (Stayfree), they do not make, sell or advocate reusable products in any country and have no ties to smaller western-based reusable product companies (like Luna Pads, Diva Cup, Moon Cup, Glad Rags, Ruby Cup) which sell only reusable products to anyone around the world. Our wish here is not to malign Sinu and her work – honestly we have been impressed with her work and being a rare voice for allowing women and girls to speak for themselves and to represent their own needs at a time when so many organizations are attempting to enter and “solve” India’s menstrual health “problems” from afar – she is somehow speaking to a real issue. This particular article however is unfortunately very biased and certain points require countering to bring balance and a wider perspective to this really complex topic. By Kathy Walkling and Jessamijn Miedema, Founders, Eco Femme.